Agr International, Inc. will be exhibiting in Sao Paolo, Brazil at Feiplastic, Booth F5. An array of Agr products for the quality management and testing of plastic containers will be featured at the show. 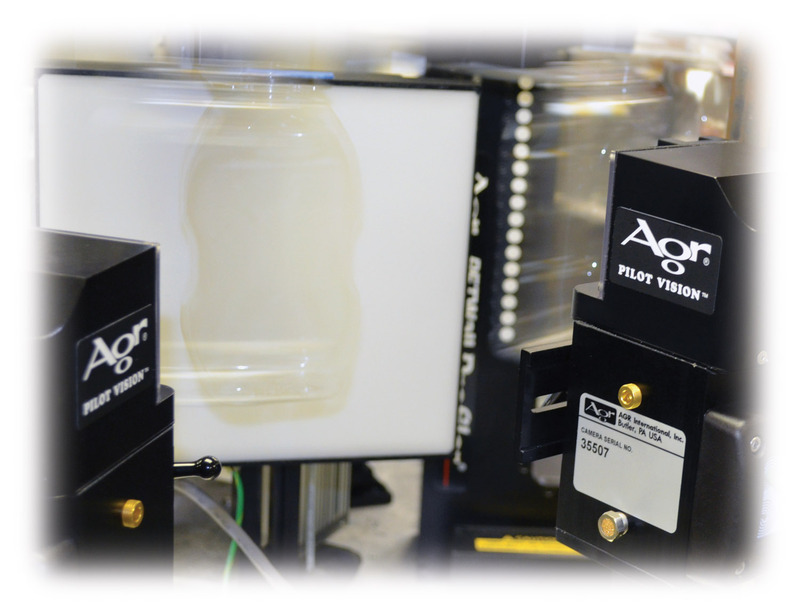 Pilot Vision™, – Agr’s all-new vision-based inspection system mounts inside the blowmolder to provide detection of random occurring defects during the production of PET bottles. This system offers manufacturers a means to critically evaluate preforms and blown bottles for defects that may compromise the quality of the finished product. Process Pilot® automated blowmolder control system, – The Process Pilot program continuously monitors bottle material distribution and automatically adjusts blowmolder operating parameters, without operator intervention, to maintain optimal bottle distribution and efficient blowmolder operation on a 24/7 basis. The Profiler® material distribution measurement system – This system, an essential tool for bottle light weighting, provides detailed, real-time, cavity-correlated data on thickness distribution over the entire body of the container as well as a continuous reporting on blowmolder performance.. In addition, Agr will feature hand gauges for thickness measurement of all types of plastic products. The MBT 7200/7400 wall thickness measurement gauge provides high-accuracy measurement of all types of non-ferrous containers, packages and related materials; while the Hand Held Thickness Probe utilizes capacitive thickness measurement to measure plastic containers, sheeting and other products made from plastic. Also, Agr offers various additional gauges for determining wall thickness, perpendicularity, base clearance and material stresses. Agr staff members will be available to discuss these products and the rest of their complete line of process monitoring and quality control equipment for the plastic container industry. This includes several products for off-line or laboratory testing applications including the Gawis® OD all-in-one laboratory test system, offering comprehensive, automatic measurement of a number of critical parameters for PET containers and performs; the PPT3000™ pressure tester, providing high-precision pressure and volume expansion testing of plastic bottles; and the Combi™ tester, performing both volume and top load testing to determine the capacity and vertical strength of plastic containers. As an industry leader for over 85 years, Agr is committed to provide the plastic packaging and related industries with the most technologically advanced products available for quality control and productivity improvement.